Wheel Fun Rentals in Echo Park, Los Angeles, CA - Get savings coupon! 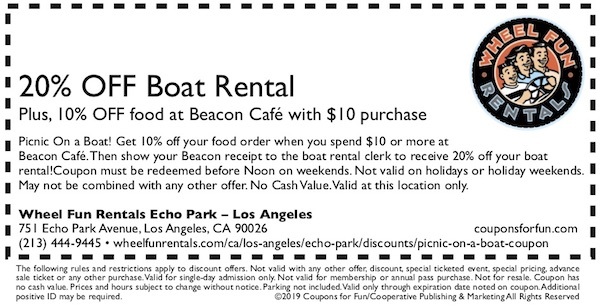 Explore Los Angeles' renowned Echo Park with swan boat rentals! Our pedal boats are easy to maneuver and are a great fun for families and friends.